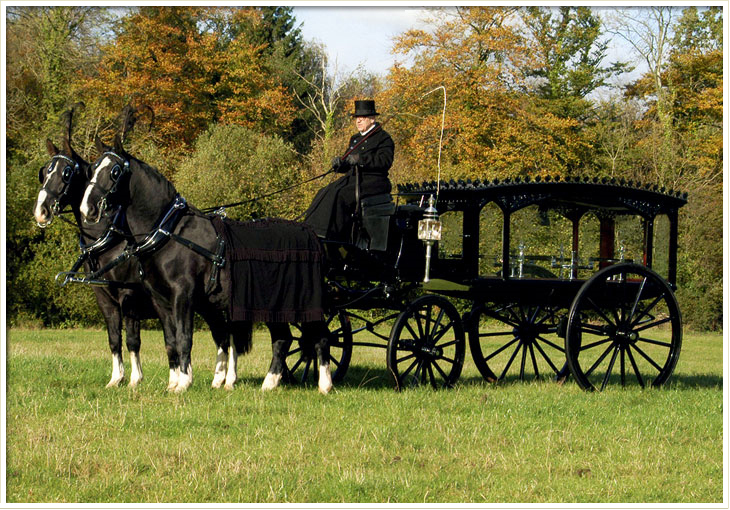 Our Carriage Masters can offer horse drawn hearses with a pair or team-of-four horses – both black or white for funerals. 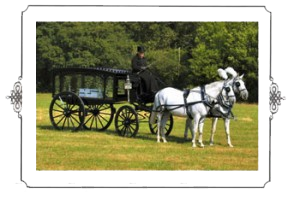 The service is operated by experienced, qualified drivers and grooms. We are very pleased to be able to offer this traditional service.